During the first initial 14 day phase (referred to as Diet Phase) the diet should be followed to the last letter. The second 14 day phase (referred to as Keep Trip Phase) allows for a lot less “red diet tape”. The Scarsdale Diet delivers when it comes to weight-loss. Because every candidate and their weight-loss priorities is unique, results will vary from person to person. Some dieters reported weight-loss of up to 10 kilogram’s or 20 pounds in a mere two weeks. The majority of eating plans available on the market today recommend no in between meal snacking what so ever, the Scarsdale diet menu however is different. It allows for carrots, celery and low sodium veggie soups snacking. This will help you feel fuller during meals but not over indulged. One of the many advantages of following this diet is that it has been around for a while and many great recipes and meal ideas has developed over the years. Breakfast is the most important meal of your day. The Scarsdale Diet menu consist of half a grapefruit every day (or other seasonal fruit), a slice of protein bread, served with coffee or tea. Unfortunately sugar, honey, cream and milk additions are totally prohibited. This unique diet also allows you to substitute some of your meals, to break the routine and shake things up a little! Substitution of lunch on any given day with the following is also allowed as a treat: ½ cup Cottage Cheese mixed with one tablespoon low-fat sour cream. Add any fruit of your choice and six halved pecan nuts. Mix ingredient and served chilled in the form of a sundae. What happens exactly in the second week? The second week of the diet (also known as the Keep Trim phase) is a lot easier than the first week, with no structured meal plans and a greater variety of foods on the Scarsdale Diet Menu to pick from. All that’s required from you is to stick to the allowed foods and eat them in the right proportion. Unfortunately like in other diets, restrictions do apply. Desserts, sweets, dairy fats, ice-cream, frozen milk or custard, some pastas and alcohol are all big no-no’s. Avoid leading yourself into temptation by thinking a little taste here and there will do no harm. It will! The first bite will lead to the second and so on and so forth. Cook with lots of herbs, seasonings and spices. Salt, mustard, ketchup and chilli sauces are allowed but please use sparingly as some may be very high in calories. Steer clear from corn, potatoes, peas, lentils and beans. Remember to snack on your in-between snack allowances and to eat as much as you want were there is no portion indication. It is imperative to consult with your physician before any dietary programmes are initiated. Your doctor will give due consideration to your current health status and medical history before recommending a suitable diet to follow. In general the Scarsdale diet Menu is only recommended for adults with no special dietary requirements. 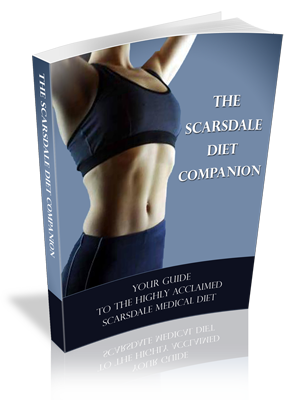 Please can you email me the complete scarsdale diet and meal plan, as I can’t seem to find it on the website. I need this diet to help me to drop some weight to help me with my Highpertion. I have tried every diet out there in the market! I came across this diet in doing ome research and I have been on it for a full 4 days and have dropped 9 pounds!! I am totally excited that I found something that is working for me. I would high recommend to those who have tried everything and could not budge in their weight. This diet is great. You can eat and not starve yourself!!!! Could you also please email me the complete scarsdale diet and meal plan. I can’t find it either. I was on this one back in the late 70’s believe it or not and it was a breeze to use and worked excellent. I can’t believe I can’t find my original diet plan, although I’m sure it’s changed a lot over the years. Thanks big time!!! Will you please email this diet to me – I cannot seem to locate it on this website. 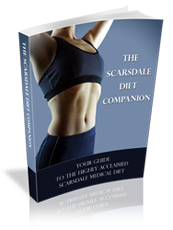 I have researched several diet programs and am very pleased with what I have read out the Scarsdale plan. I have Type 2 diabetes and think this program will be a very good fit my me. I am axious to get started on this program! I can’t seem to find the full plan either. can you email it to me as well? I have been on the scarsdale diet for 2 weeks now, and I have lost 15 lbs.. I have tried a multiple of diets in the past, and found that this one works the best for me. I am never hungry. I also NEVER ate breakfast, and with the scarsdale I have to, and let me tell you I feel 100% better then I have in a long time. I am keeping to the Keep trim and I feel it is easier to make better choices in foods. I hardly ever crave sweets anymore, and when I do I chew on sugar free gum. I will continue to use scarsdale/keep trim to I am at my ideal weight, you try this and you won’t be disappointed! I,ve tryed everything and I am ready for a change in my life. I want to live and long and healthy life. I want to do this! Can I get the meal playable please? I’m 52yrs old and heard of this eating plan a long time ago. The first time and each time I’ve followed this I’ve lost at least 1-2 pounds a day. Breakfast isn’t much but if you drink a glass of water before and after and a big cup of coffee or tea it really fills you up. If you get hungry in between this eating plan gives you the option to snack. I usually eat the cottage cheese & fruit with walnuts every day of this plan as it’s easy and less inexpensive & I don’t get tired of it. Dinner is the real treat and it’s filling. As far as other “diets” or eating plans, including the food pyramid by the FDA – this is one of the best and successful plans I’ve tried – and believe me, I’ve tried almost all of them. Good luck to everyone out there starting this. It does work, even for us 50+ people that have a metabolism that won’t budge. I was on this diet about 10 years ago and lost 22 lbs., this diet really works. I was looking for my old menu, but have been unable to find it, Please email me the complete diet menu. I really would like to go on this diet again and regain better eating habits. I have tried lot of diet, but when I need to lose about 10 to 15 lbs. I go on the scarsdale for two weeks, and it work for me I lost 13 lbs, but I’m not a over weight person, and don’t have a lot of weight to lose, so it workout fine for me keep me to the weight I want to be. I’m a believer in the scardale diet plan. I have a copy of the original diet. It was great, and probably still is. I’m glad they have refined it because alot of women had heart problems and mi’s. It was taken off the market because of this. You can get the book (that is alittle healthier than the old diet). Google- Scarsdale diet and you will get a selection of web sites. However this site offers the new Scarsdale diet in book form. I’m on Weight Watchers and it is working fine for me. I have Diabetes and a heart valve problem. Also derviticulitis, and will not try the old original diet. I might buy the new diet book and work it into the online WW. It let’s you eat whatever you want. You count points. I lose 2-3 lbs a week and have lose 40 lbs. so far and it has not affected my health. Hi Donna, I would suggest you consider buying a new copy with the complete program. Many years ago my dad, got the Scarsdale diet book, went on the diet and was very successful, so I figured I would give it a try. I lost 30lbs following the diet and allowed myself one cheat day a week. I felt great!!! I kept my weight off for many years, however, I started menopause, (unfortunately early) and gained weight back. I have recently gone back on the diet and have no doubt I will be successful once again. I am 59 years old . Any time I get myself into a rut I refer back to the Scarsdale diet ! It’s the only thing that gives me results ! You have to stick to the meal plan with at least 8 glasses of water ! Great 14 day diet meal plan for after the holidays when you have over indulged !